Regina Steiner teaches Pet Obedience, Rally and Competition Obedience, and has been teaching for the club for over 10 years. She has been involved in competition obedience since 1983, and has earned over 100 titles in AKC, CKC, ASCA and UKC competitions. 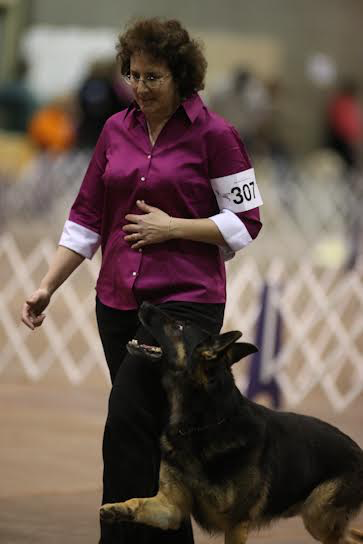 She has titled dogs in Obedience, Schutzhund, Rally, Flyball, Tracking, Conformation, Herding, and NADAC Agility. Regina has been doing private in-home training, both competition and pet obedience, for many years. She feels very strongly that a great bond with your pet can be created and enhanced thru good obedience training. Regina's titled dogs include: 8 German Shepherds, a Papillon, and a Siberian Husky. Her current competition dog is OTCH Von Sontausen Holy Grail UDX8 OGM BN GN VER RE TD HSCs ("Bunny"). * #1 Obedience German Shepherd for 2015, in multiple point systems. * Earned an invitation to the National Obedience Championship (NOC) five consecutive years. Bunny was invited in 2016 as the #1 GSD, and finished in the Top 50 in 2014 and 2016. * Invited to (and competed at) the Inaugural Westminster Obedience Competition in 2016. Invitations were sent to the top 150 obedience dogs in the country, based on OTCH points. 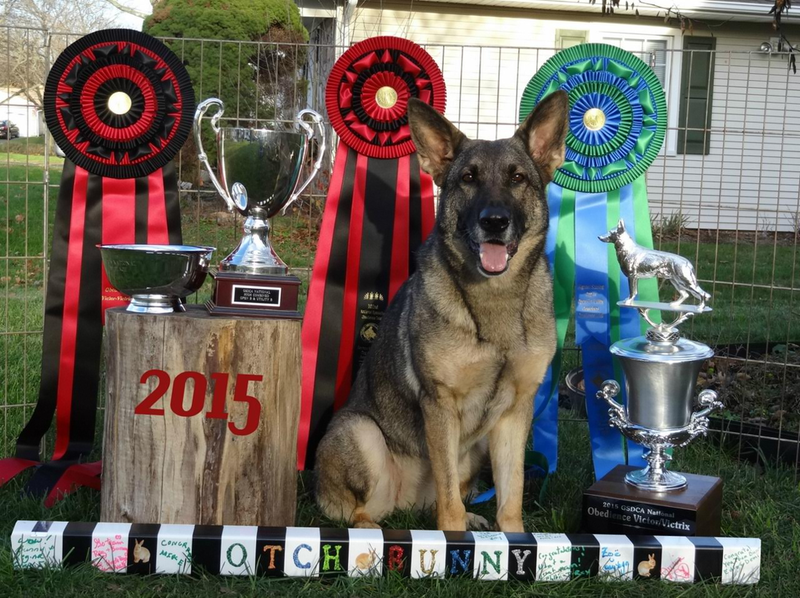 * German Shepherd Dog Club of America (GSDCA) Top Obedience Dog of the Year for 2015. * GSDCA Obedience Victrix (National Specialty High Combined) for 2015. * GSDCA Rally Victrix (National Specialty High Combined) for 2016. * Bunny is the only dog of any breed to have earned both OTCH and HGH (large flock sheep tending) titles. The current up-and-comer is Cora, a young German Shepherd. Cora is in training and will be competing in Obedience, Rally, Tracking, and Herding. For now, she is doing a great job as demo dog for many of the classes. Jen teaches both Obedience and K9 Nose Work for the club. Jen is certified to teach AKC STAR puppy classes, and is a certified evaluator for both the AKC Canine Good Citizen and Trick Dog programs.